Our Early Childhood program is safe and designed to be inclusive for all students. We strive to meet the needs of all the children, especially for children with special needs. We offer classes at 5:00 on Tuesdays and Thursdays afternoon. The lessons are age appropriate where the children have fun and actually learn karate that is suited for them. They are focused and gain self confidence that will aide them when starting school. 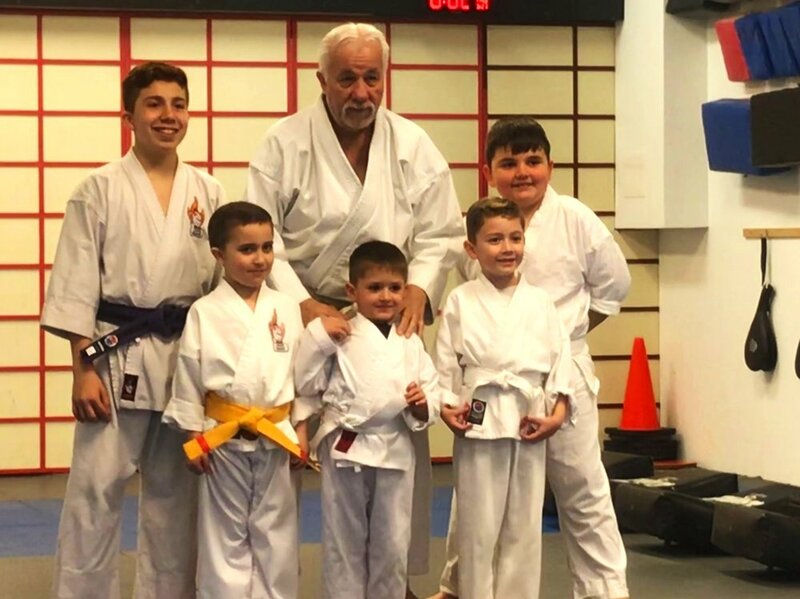 These students that belong to the outer circle and train during the week and on Saturdays and have one objective ; they are training to become future Black Belts. They are the mentors younger students while guiding them along their paths. In this specialized class the students train to become leaders and learn how to listen to orders and how to develop ideas. As they progress they slip into leadership roles and become hopeful candidates for Shodan - Black Belt. These students all have the potential to become leaders in school and their communities. It is our privilege to guide them along the path to that accomplishment. We have designed our Karate program to offer our students a complete package that not only will keep them fit, but also healthy. Traditional workout methods fall short, targeting only the body and neglecting the mind and spirit; we have perfected our program to target all three, Mind - Body - Spirit You will find that our program, students not only stay fit, but they also receive the necessary tools such as the ability to focus, concentration and have the "never give up attitude", which is necessary to be successful in whatever they choose to strive for in life. Better school grades, better members of the community and real team players.